When the famed all-time high of December 2017 shone in its full glory, how many of us have looked on and regretted not buying some cryptocurrencies back when we first heard of them? 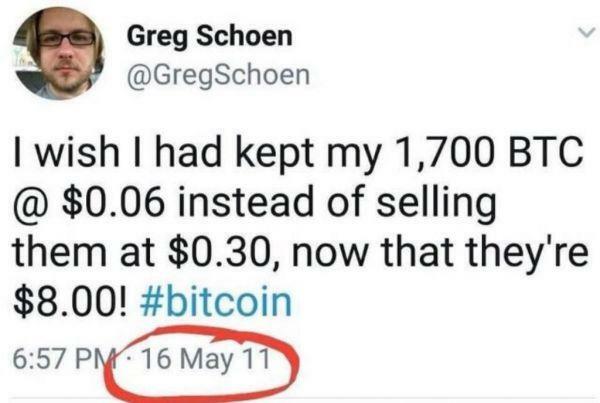 If you bought in time but sold at a later point for a tiny profit, can you show us on the doll where it hurt the most when you saw Bitcoin climbing towards USD 20k? 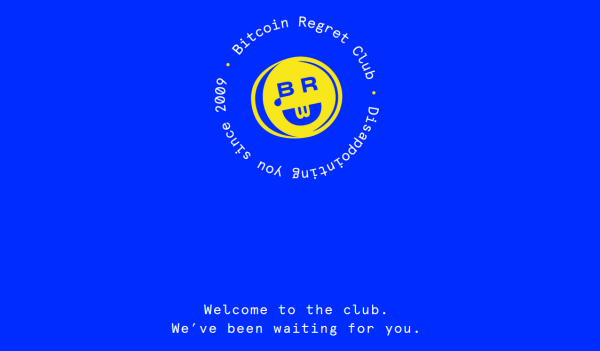 The Bitcoin Regret Club exists, so you can see exactly how much you have missed out on. If the voices in your head haven’t been nagging you enough about bad crypto choices, the website, product of ISL in Washington (according to the website, “ISL is a full service agency that regrets not investing in cryptos earlier”) is here to help you visualise the fortune you almost had. The whole premise is a self-deprecating joke, not to be taken seriously - do not let it bring you down! 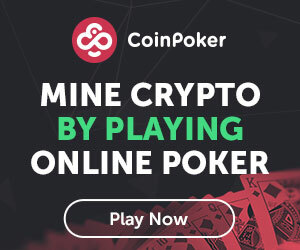 The concept is fairly simple: you enter the date when you’d have invested, as well as the amount of money you’d have parted with, and the website calculates how much you’d have right now. To really drive the point home, though, you can also convert the value you’d have now to various products, such as Instant Ramen Noodles, a Bugatti Veyron or a Birkin handbag. For example, had I invested USD 1,000 in 2011, I would own 37 Birkin bags now. Not that this phases me much - the 0.018 amount of SpaceX Falcon 9 rockets is what hits the nail on the head. But on a more positive note, remember: only a fool trips on what's behind him!